Here at ARPA-E, we focus on transformational energy projects that can be meaningfully advanced with a small investment over a set amount of time. Our streamlined awards process enables us to act quickly and catalyze cutting-edge areas of energy research. Part of making sure we have a constant infusion of fresh thinking and new perspectives comes from our Program Directors, who serve on limited terms. 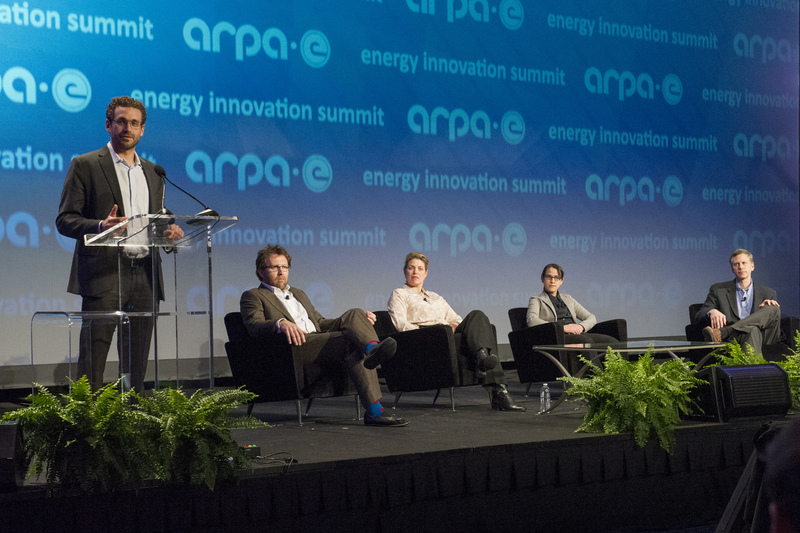 ARPA-E hires Program Directors with visionary ideas for new energy technologies. During their three-year terms, Program Directors are responsible for program creation, design, implementation, and management. Hear from three Program Directors—two current and one alumnus—about what being an ARPA-E Program Director is like. 1. 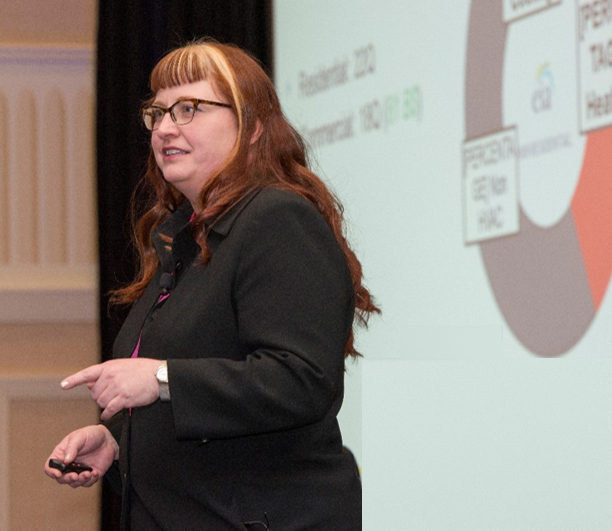 How did you first learn about ARPA-E, and what drew you to become a Program Director? I was contacted by an existing Program Director at the time, who I first met all the way back in grad school. I had reviewed some proposals for him when he was at ARPA-E, and through that he realized that I may be a good match, with the right technical breadth, depth, and critical assessment skills. The fact that I had recently extended my work into new business development, however, really sealed the deal. High-risk, high-reward projects with a path toward commercialization? Sign me up! What further drew me to ARPA-E was the opportunity to make a very significant impact in a self-driven role, the truly collaborative nature of the folks here, and the opportunity to blend both the technical and market sides of a problem to find a real-world solution. 2. As a more recent Program Director, what has been the most valuable experience you’ve had so far? The “crash course” I had with the outgoing Program Director who started the Delivering Efficient Local Thermal Amenities (DELTA) program (Dr. Ping Liu) was challenging and extremely interesting. We achieved the program transfer on an extremely short time scale by visiting every project face to face and holding an in-depth review with each team. I am not sure I have ever been exposed to such a large number and diversity of technical performers in such a short time. It was exhilarating to learn about the program, how the current project teams aimed to fulfill the program goals, and about ARPA-E in general, all at once. 3. What technical areas or challenges do you hope to explore more during your time at ARPA-E? I am fascinated by “low-hanging fruit” questions, and by how humans interact with technology such as: Why do we waste so much energy, for example, heating and cooling our buildings when we aren’t inhabiting them? We’re working so hard on alternative fuels, renewable energy, trying to manage a more and more outmoded and unbalanced grid… while this basic human energy usage issue remains. Most of us don’t even use programmable thermostats—and it is 2016! Why can’t 1990’s technology be impactful 20 years later? Seemingly simple solutions end up being much more complex when put into the context of everyday life. If we can use technology in clever ways to help solve these problems without us even noticing, that is exciting. 4. What things are you learning now that will prepare for you for your next opportunity? The breadth of technical projects that I am overseeing is both refreshing and demanding. Continuous learning is one of the reasons I came here,and I know the knowledge gained here will serve me well in whatever I decide to do next. Additionally, gaining more experience on the commercialization side in complex markets (such as residential/commercial buildings) is something new to me and is very exciting. I have worked in industry and have experienced what it takes to bring materials to market from that point of view, but this turns it around, and I can view these projects from the inside or outside—with the flexibility to do what is needed to make sure they succeed. It is rare (and challenging) to get this level of direct portfolio responsibility, and I find that I thrive in this context, which is something else good to know for the future. Dr. Joe Cornelius has served as a Program Director at ARPA-E since 2014, and his focus includes advanced bioenergy crops, greenhouse gas mitigation and ecosystem stability—applying innovations in genetics, systems biology, molecular breeding, computational analytics, remote sensing, and precision robotics to improve crop energy density, climate resilience, natural resource preservation and carbon optimization. Currently, Cornelius manages the Transportation Energy Resources from Renewable Agriculture (TERRA) program and the forthcoming Rhizosphere Observations Optimizing Terrestrial Sequestration (ROOTS) program. 1. Tell us a little about your background. How does your previous experience provide insight into your work at ARPA-E? During my career at Monsanto, Pfizer, and BASF, I had the extraordinary opportunity to directly experience the life science revolution. The combination of cutting-edge research, transformative technologies, and innovative new product development platforms catalyzed the creation of new goods and services for human health, food nutrition, agricultural productivity and renewable energy. I had the unique opportunity to acquire a broad portfolio of “private sector” best management practices that drive innovations from discovery into commercial products. Now, at ARPA-E, I can transfer those leanings into public sector grand challenges—what we call “moon shots.” Previously in the private sector I worked in a fantastic sandbox, but now I get to work on a beach, which is much more exciting, challenging and impactful. 2. How did you first learn about ARPA-E and what drew you to become a Program Director? The first time I heard about ARPA-E was from a former Program Director, Jonathan Burbaum, and immediately observed the passion, excitement, intellectual energy and sense of urgency that flourishes within ARPA-E. Now that I am a part of ARPA-E, I continue to be simultaneously overwhelmed and inspired by what this agency is attempting to achieve. My decision to join ARPA-E was a natural extension for me—it was a perfect storm. ARPA-E makes innovation happen, it is science with purpose, and the focus is on tackling extraordinary complex problems that are beyond the reach of the private sector to resolve independently. The agency builds teams, collaborates across disciplines, de-risks technical challenges and transfers innovations into the private sector for commercial scale up. This is dream job for anyone who is passionate about technology, product or market development. It is science with purpose! 3. What has been the most interesting / challenging / enlightening part of program development or management? That's simple—the people, the people, the people! They are inspiring, challenging and enlightening. Everyone here has a mission and we all share an intensity of purpose. In addition, everyone is collaborative, supportive of your success, and extremely action-oriented. Frankly, I was surprised that a government agency could be more focused, nimble, responsive and autonomous than the private sector from which I came. This is a great credit to ARPA-E’s leadership, who partner with you to make good things happen. The ARPA-E culture is all about teamwork and shared success. To that point, agency programs and initiatives attract phenomenal partners, collaborators and investigators. Life here is like drinking from an information firehose. Every encounter is a learning experience and I am thankful for the world-class expertise and commitment. 4. What impact do you hope to have on ARPA-E? On the broader energy challenge? 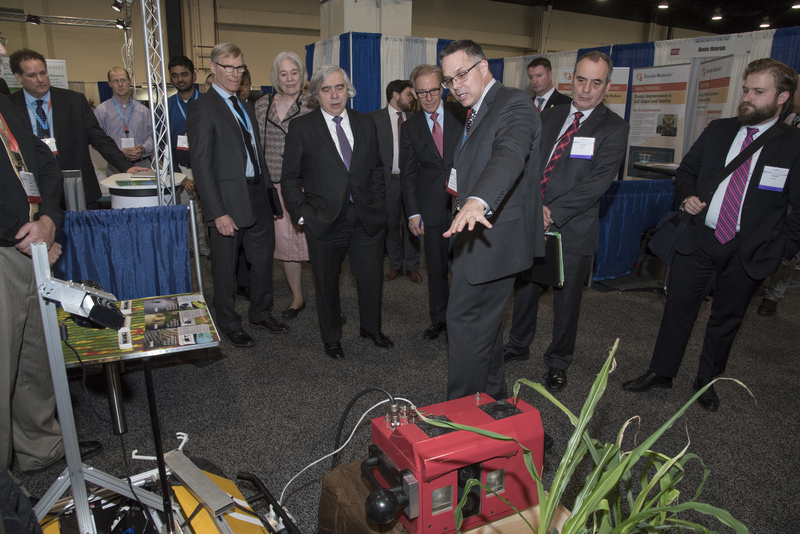 First and foremost, I hope to live up to the ARPA-E mantra, “If it works, will it matter?” and making a substantive contribution to addressing the planetary challenges in energy security, climate change resilience, and sustainable economic development. ARPA-E is an ecosystem that cultivates out-of-the-box thinkers and enables novel solutions for complex problems. My hope is to harness that culture and build teams that transform agriculture to make life science a meaningful part of the solution. ARPA-E is changing what's possible. 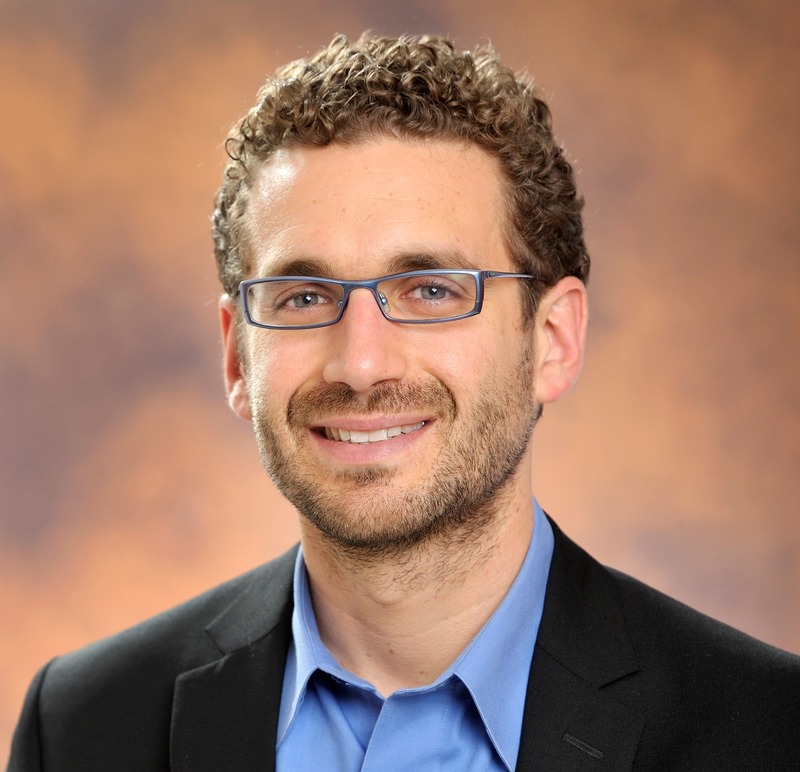 Dr. Ilan Gur served as a Program Director at ARPA-E from 2011 to 2014. His technical focus areas included advanced battery management, solar energy, and new materials for energy conversion and storage. Gur also served as a Senior Advisor, shaping ARPA-E's Technology-to-Market effort, which focuses on preparing breakthrough energy technologies for the transition from lab to market. Currently, Gur serves as Founder and Director of Cyclotron Road, a home for hard technology entrepreneurs to drive energy breakthroughs from proof of concept to viable product. 1. How did you first learn about ARPA-E and what drew you to become a Program Director? In 2010, while working on my second startup company, I realized that Silicon Valley’s venture capital model might not be a great match for breakthrough energy innovation. I didn’t know what the right model was, but one thing was clear: to have any hope of solving the energy problem, we needed to be seeding 10 times the number of ideas across a far wider range of institutions and innovation models. It was around that time that I attended the first ARPA-E summit. I was blown away. Despite a great offer to join a venture capital (VC) firm, I decided to go work for ARPA-E. The reason was simple: No other job in the world could have given me a bigger opportunity to make an impact, nor a more complete perspective on energy innovation. A typical VC might scour the earth looking for entrepreneurs and seed 1-2 new companies each year. In contrast, ARPA-E Program Directors can define entirely new horizons and catalyze a dozen or more new innovation efforts in every program they run. More importantly, ARPA-E was not just investing in projects, but was creating strong and diverse communities like the ones I saw forming at the inaugural summit, spanning startups, universities, and large corporations. 2. What was one of your most valuable or memorable experiences at ARPA-E? All of my most memorable experiences at ARPA-E were about people. Whether arguing over thermodynamics at our ARPA-E happy hour, or unsticking a hard management problem on site with one of my project teams, ARPA-E provided countless opportunities to engage with and learn from the smartest and most passionate people I’ve ever met. That’s something I’ll never forget. 3. What was the most interesting or enlightening part of program development or management? Creating a new ARPA-E program is an amazing experience. As a PD, you’re encouraged to develop programs outside of your core area of expertise. That takes guts, but as an outsider you can see the problems and opportunities in ways that experts in the field never would. The challenge is making sure what you’re proposing is novel and disruptive, without being too far out there. If half the experts in the field think your program vision is brilliant, and the other half think it’s ridiculous, then you’re probably onto something. 4. Where are you now and how did your time at ARPA-E prepare you for your current position? Since finishing my term at ARPA-E, I founded and now manage Cyclotron Road, a program that supports hard energy technology innovators with the resources they need to get started commercializing their ideas. Cyclotron Road was directly inspired by my experiences as a Program Director. Interested in becoming an ARPA-E Program Director? Click here to view more information and application requirements.